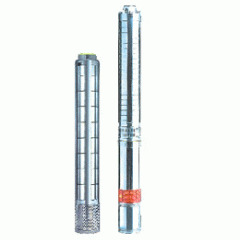 Vertical multistage pump with water-filled or oiled-filled NEMA standard submersible motor for 4",6", 8" deep well. Non-return valve with each pump. Impeller & diffuser made of stamping & welding 304 stainless steel.